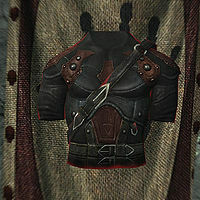 Shrouded Armor is the chest piece of a set of armor used by the Dark Brotherhood. Alongside this piece, this set of armor also includes boots, a cowl, and gloves. The armor provides fifty points of poison resistance. 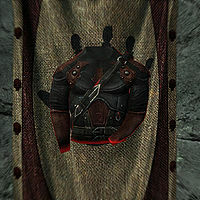 Tempering Shrouded Armor requires a piece of leather and the Arcane Blacksmith perk. This page was last modified on 29 November 2018, at 16:32.